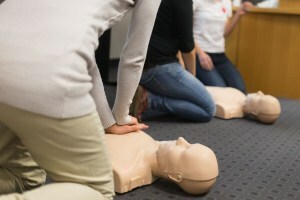 First aid training is vital to any businesses because accidents can happen at any time and usually do without any warning too, or perhaps a staff member becomes ill at work and requires immediate assistance and this is where having staff members who have had first aid training plays a vital role. There are many training providers offering first aid training these days but how do you the business owner or employer know whether you have got a training provider who is competent to deliver first aid training but also has the quality assurance systems in place too. Thankfully the majority of training providers will be able to and also be prepared to demonstrate this to you. You have 3 routes you can take, you can either take the Regulated qualifications route or the Voluntary accreditation route or the independent training provider route who operates independently of any accreditation. So whats the difference between the 3 options?. Regulated qualifications are delivered by training centres recognised by an awarding organisation and we here at Warwickshire First Aid Training are an approved centre with Qualifications Network. These AOs are regulated by national regulators such as Ofqual in England, Qualifications Wales in Wales, and SQA in Scotland and must meet standards required for design, delivery, and award of qualifications. AOs have dedicated quality assurance processes to approve and monitor their approved training centres. Voluntary Accreditation scheme is training providers such as St Johns Ambulance, Red Cross, and St Andrews. They will have quality assurance processes and will monitor their training staff to deliver first aid training as per voluntary accreditation scheme guidelines. Independent Providers have to meet the criteria laid down by UK Resuscitation Council and HSE (first aid) guidelines and have their own quality assurance processes in place to maintain compliance. What due diligence checks should I do? You are not required to formalise or write down the checks you carry out when choosing a training provider but it may be useful for you to retain a written record. By documenting the checks you have undertaken to confirm the competence of a training provider. By retaining a record of those steps, you can demonstrate to an employee, a safety representative, HSE or a local authority inspector how you selected a training provider/organisation. You can find a template for the checklist here that can be used for this purpose. Due to awarding organisations offering ‘regulated qualifications’, you do not have to use the checklist to satisfy yourself of the competency of that organisation. If you are not using a first aid training provider who is an approved centre with an Awarding Organisation then we recommend that you carry out due diligence checks, although you have not got to document it, we recommend you do just in case you have an incident on your site and you have a visit from HSE then you can show what checks you have done when choosing your training provider. We have completed a checklist for you so you can see how to do one.